This Double Happiness is not often seen in Las Vegas casinos, or any other casinos I have been to in the USA, or Canada, but I am told it is very popular in both Australia and Macau. The good news, for any Vegas fans wanting to try a new slot out, is we have a free version to play right here. Everyone wants to be happy and what could be better than achieving that one wish in life, you ask yourself? Well, the answer, it seems.. is Double Happiness! Although our site focuses on free slots, we get a lot of requests for real money casino advice. So, we have test out hundreds of real money casinos and compiled a list of the best casinos, based on games selection, security and payouts. Please visit our real money casinos page to see the list. 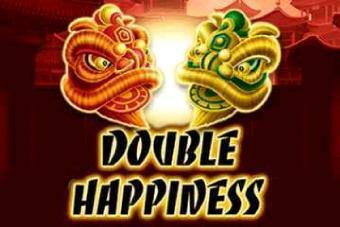 The online gambling version of Double Happiness is very hard to find if you live in the US or Canada. Firstly, the game is not in many land-based casinos. I can't remember if I have seen it in Las Vegas, but I will look out for it from now on, because these games are always more fun (imo) when you play them in a casino, for cash. If you live in the UK, you can play the online slots for cash - the UK has amazing online casino regulation from the Government, so basically all the games are available to play. I have heard that the game is available in Australia and Macau, but I have not had that confirmed by anyone. Maybe this is an excuse for a trip to Australia! The Double Happiness slot is a fairly generic game, if truth be told, but it does have considerable appeal to it. One thing for sure, you can't deny that the guy with the fan, which he is waiving around does look VERY happy indeed! 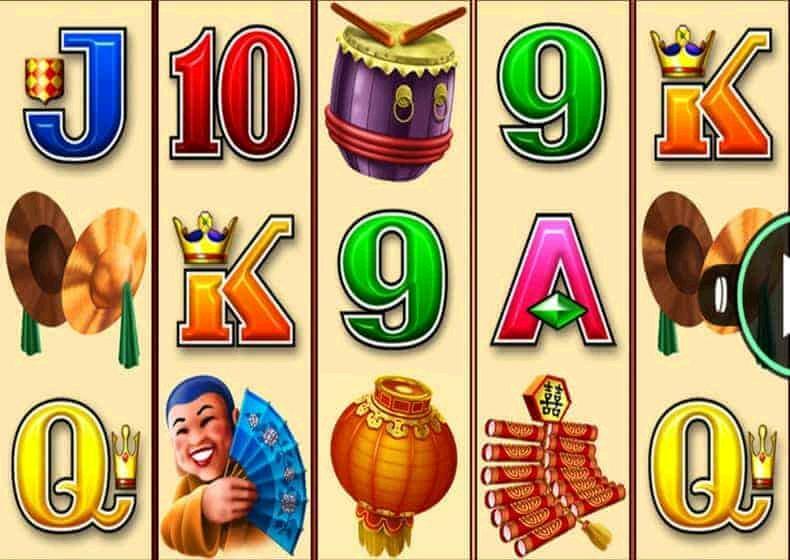 The game has 25 pay-lines, so is one of the old-breed Aristocrat slots, rather than the 243 line slots where you can win on every single pay-line combo.